HomeBlog Credit Card DebtWhat Happens To Your Debts If You Divorce? 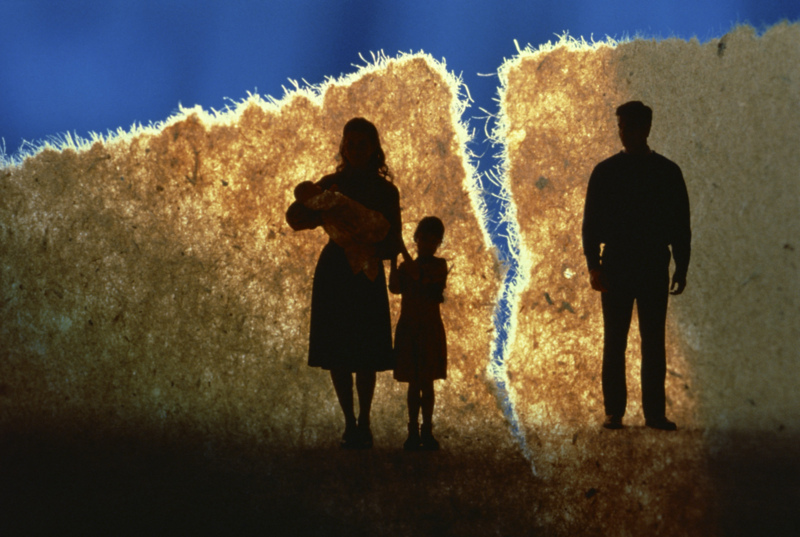 Whether we like to think about it or not, divorce happens–even to the best of couples. I learned this lesson early on as my wife and I had in-laws we often referred to as the “all American couple,” that is until the day they announced they were divorcing. It’s not uncommon for couples to have $15,000, $20,000 or even more in debt. So, what happens in the event of a divorce? That will depend a lot on the state in which you live. There are two kinds of states–community property and equitable division. Nine states are community property states, including California, Nevada, Louisiana, New Mexico, Idaho and Texas. If you divorce in a community property state, all the debts incurred after your marriage will be the joint responsibility of the two of you regardless of who actually incurred them. In other words, if your spouse burned through $30,000 trying to start a business and you incurred only $5,000 in credit card debt, you’d still be on the hook for half of that or $17,500. You could thank your lucky stars if you divorce in an equitable division state and your spouse was responsible for a lot of debts. These states are called equitable division states because debts are supposed to be divided in a way that’s fair and equitable. Since equitable is not the same as equal, this leaves room for negotiation. For example, one partner could agree to pay off all of the debts with the stipulation that he or she would get some specific assets in return. Or the two of you could agree to split the debts equally. If you are going through a divorce, there is an important fact you need to know about your credit card debts and that is the credit card companies are not bound by your divorce settlement. If your spouse agrees to pay your credit card debts but then fails to do so, the credit card companies can and will probably come after you. In this case, but all you can do is file for bankruptcy or find a debt settlement program. Freeze that credit card debt? If yours is a contentious divorce you need to be aware of the fact that your soon-to-be ex- spouse may be looking to harm you by running up a huge amount of credit card debt before your divorce is finalized. This can be really hurtful if you live in a community property state. If you think your partner might be capable of this, you need to think seriously about freezing your credit card debt. The way you do this is by using the time-honored trick of simply canceling all your cards. Of course, this means you will not be able to use them either but it is a way to protect yourself against an angry spouse. Debt can be a big problem even in strong marriages. In fact, debt can color your entire life. If you’re seriously in debt and just can’t see any light at the end of the tunnel, there is help available. We can work with your creditors to get your debts reduced to a fraction of what you owe and help you become debt free in 24 to 48 months. Plus, we offer a 100% satisfaction guarantee that if you are ever unsatisfied with our debt relief programs you can cancel at anytime without any penalties or fees. Don’t let debt ruin your life. Learn how we can help you. Be sure to fill in the form you will find there to get a free quote.